These recognitions are based on HubSpot employees’ reviews on Comparably over the past year. Feedback is a pillar of our culture here at HubSpot, and we use it to help us grow better as a company. We want to say thank you to our remarkable employees for their reviews and for making HubSpot a great place to work every day! The reason feedback is such an integral part of HubSpot’s culture directly correlates with our passion for transparency across the company. One slide of HubSpot’s Culture Code says: “Power is gained by sharing knowledge, not hoarding it.” We know that by being transparent as a company and sharing as much as we can with our employees, we grow better together because we all have the same information and can learn from each other. One of the ways we walk the walk on transparency is through open lines of communication across all levels and departments at HubSpot. 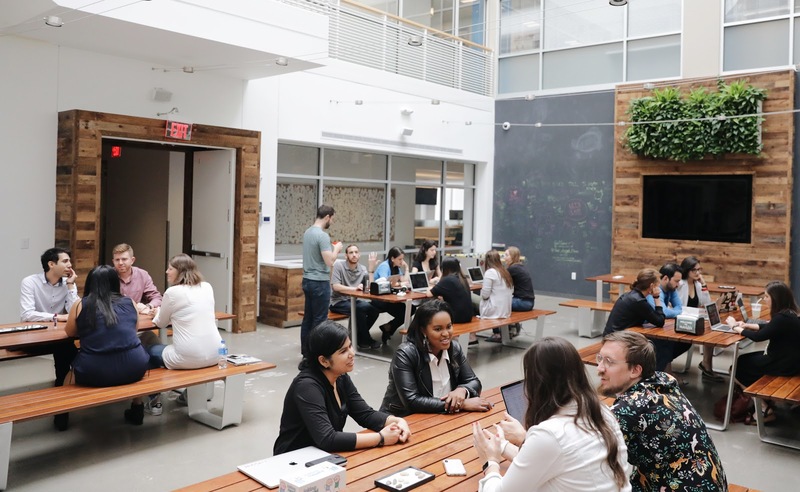 Employees share feedback with the company and our leadership team on a regular basis through HubSpot’s quarterly, internal eNPS survey to assess employee happiness and overall engagement at work. The survey asks employees five short questions about if they’d recommend HubSpot as a place to work, how they feel about their career growth opportunity, and any advice they have for leadership. The responses are anonymous, and we analyze the data to identify an overall eNPS score that’s used to get a pulse on how we’re doing as a company and culture, and to identify key themes which we can improve on, as well as action items from the executive team to improve those themes. Then, we share that analysis and the action items across HubSpot to further that transparency and hold ourselves accountable to making strides on continuing to create a culture we all love to work in every day. Employee review sites such as Comparably and Glassdoor are another great way for us to gather feedback and learn what we’re doing well, and where we have areas to improve. And because no one likes to give feedback that goes into a black hole, our People Operations leadership team reads and responds personally to reviews and uses that feedback to further adapt our workplace culture. “Feedback is welcomed, encouraged, and acted on. The company goes out of its way to open the floor to discussion with AMAs; the questions are often heavy hitting, but it shows leadership is actually invested in us.” Review from Product & Engineering team member. “There's great transparency and the desire to be inclusive. The enthusiasm never ceases, and you can tell that the employees and the customers are HubSpot's leadership's main priority!” Review from Sales team member. “As a manager, I can focus on supporting folks on my team to be the best they can be. I am supported by the company in these efforts, not side tracked by administrative burdens or over-tasked with so many things that I can't be good at my primary responsibilities.” Review from Product & Engineering team member. “The general vibe in HubSpot is exciting. People are happy to be here, collaborating constantly, and pushing towards success. When C-Suite holds doors for you, shares jokes on their way to meetings, and simultaneously asks how they and HubSpot can be better, you know you're in a good place.” Review from Customer Success team member. As HubSpot’s co-founder Dharmesh Shah says, “Culture happens. So why not create one we love?” Thank you to our employees at every level, in every department, and at every office who contribute to HubSpot’s culture and share feedback to help us grow better as a company. The feedback we receive from our employees allows us to see our blindspots and solve challenges to continue creating a culture our employees love and feel welcomed in every day. Want to learn more about what it’s really like to work at HubSpot? Follow us at HubSpot Life on Instagram, YouTube and Facebook, and visit hubspot.com/jobs to check out career opportunities. 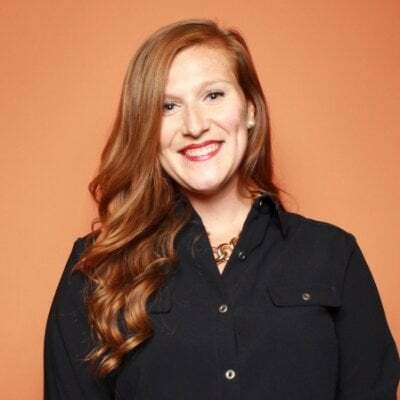 Riley is the Culture Content Creator at HubSpot, helping to share the company's culture and employer brand through HubSpot Life on social media to attract remarkable talent through inbound strategies. Outside of the office, Riley is an avid traveler and blogger, always on the hunt for the best budget-savvy vacation deals. Follow her at @rileystefano on Instagram and Twitter.